I bet my hubby would love this. He gets sore after sitting all day at work. I need a cush comfort for my car, my desk, and my recliner. I never knew such a product existed until I read your post. I totally need one of those! I have a bad back from scoliosis. I'm glad this ended up being so comfy. I think this will become a travel essential from now on! This sounds like the perfect cushion for anyone who works long hours in front of the computer. It's definitely a worth a try. And I'm glad it works very well for you. Wow. I really need a cush comfort. I get leg cramps at night from sitting too much and have to adjust in my seat constantly because of discomfort. Thank you for sharing. My husband will greatly benefit from this. He has spinal stenosis in his lower back and sitting in one position can cause him great pain. 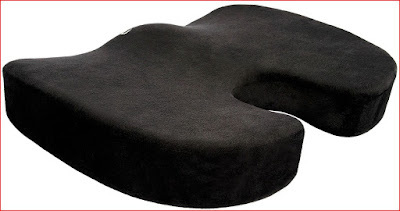 I love that this cush comfort provides the necessary support. 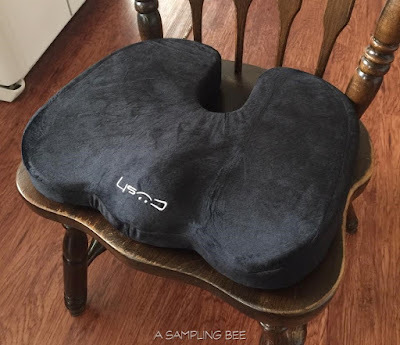 We need this for all the chairs in our home! This will work really great with my home office. My usual comforter only gave me the satisfaction I needed for just a couple of months and I'm looking for something that will last. This looks like it! My wife will surely going to like this. Since she’s working with her laptop all day long, this will definitely give her comfort. I need one of these, my sciata sometimes acts up and this would be helpful. My mom suffers from back pain. She could use this cushion. Thanks for sharing this. That looks so comfy. I need to get one of these. I think it would be nice to have in the car too. I sit all day in front of my computer. Although I don't suffer from back pain, I think I need this.